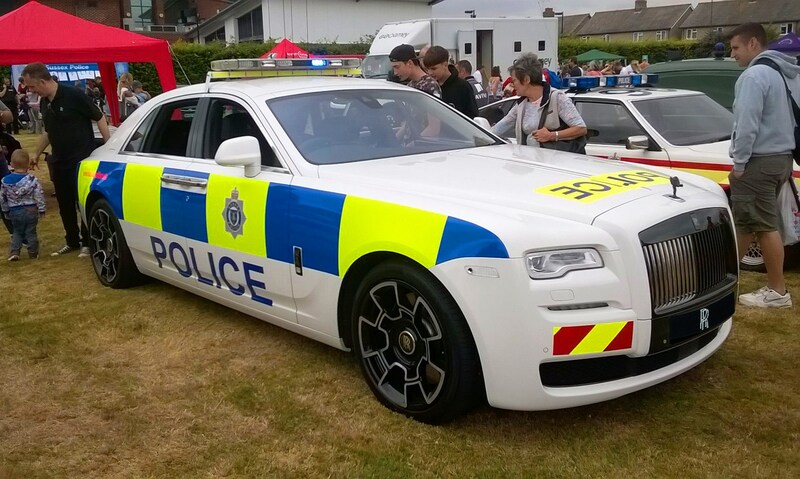 Car spotters will have a field day spotting different police cars around the world. Whether it's the glitzy supercars of the Dubai constabulary or the unmarked cars of British M-ways, from the silly publicity stunts to the electric cop cars in inner-city areas, there's always something to keep an eye on in your rear-view mirror. 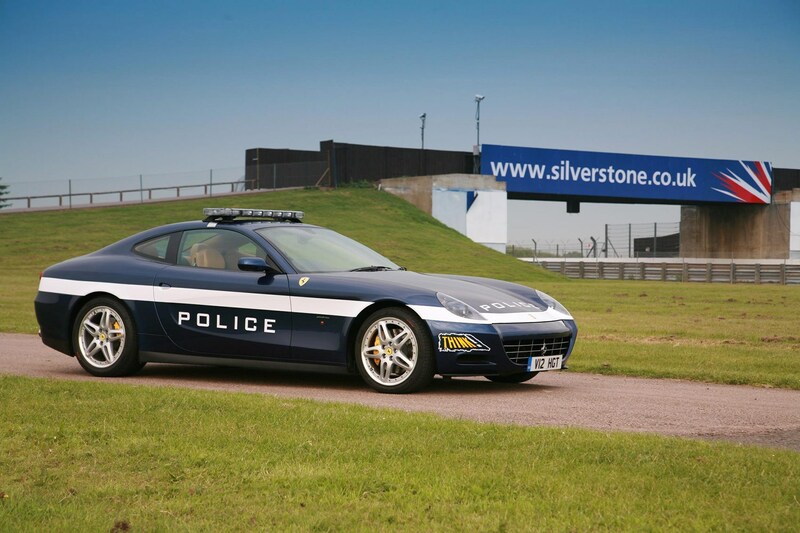 Here we round up the best police cars from around the globe. 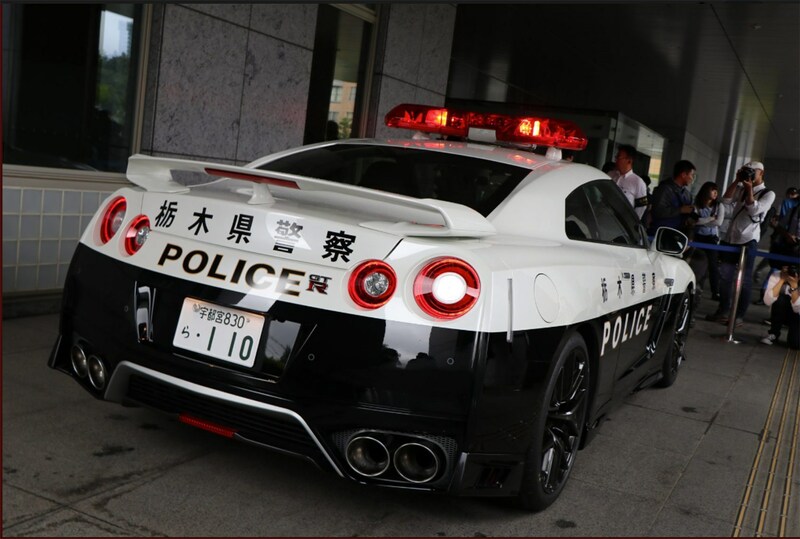 Flick through our gallery above and rear on for our guide to the most outrageous, unusual or just downright eye-grabbing police wheels from all four corners of the world. 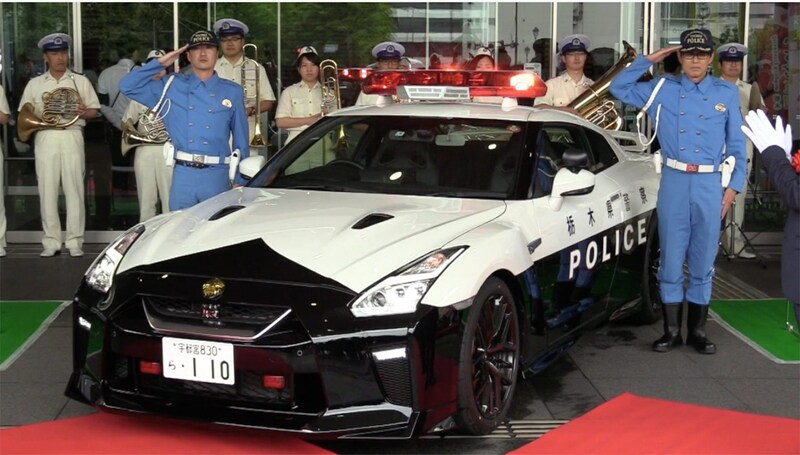 A benevolent resident in Tochigi Prefecture, Japan, donated a Nissan GT-R to his local police force. It went back to Nissan to have a few tweaks made, boost added and livery painted on - and there was even a ceremony to mark the handover. 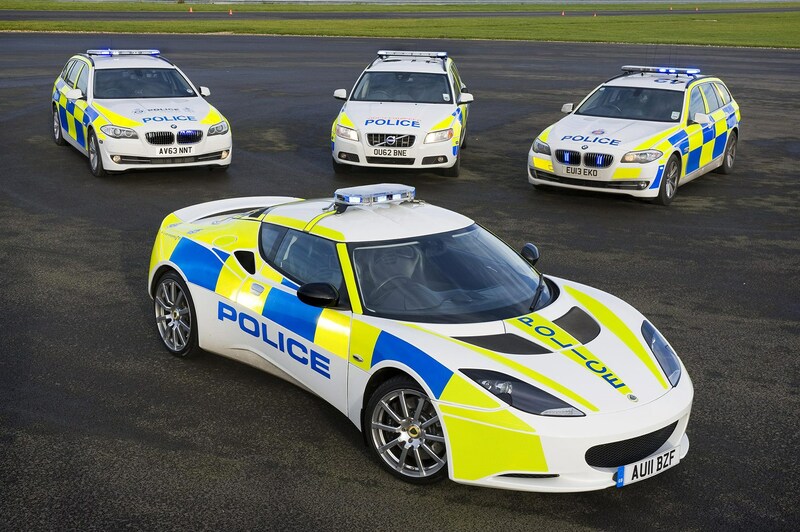 Any round of cop car Top Trumps will usually be won by the United Arab Emirates. These wealthy sovereign states have turbocharged economies thanks to the oil reserves upon which their fortunes were won; so it seems apt that their police cars are high-octane supercars - there's even a Dubai police Bugatti Veyron that was added to the fleet in 2014 to bolster the image of 'luxury and prosperity' of the Emirate. 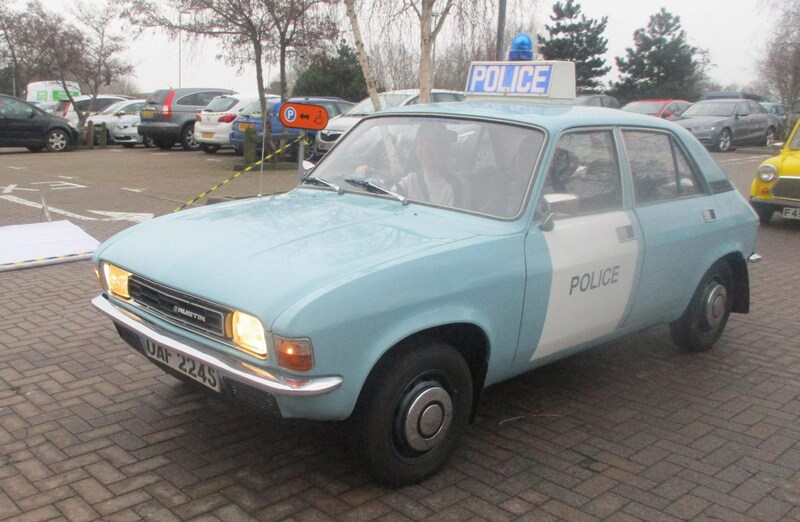 Back in Blighty, Plod occasionally throws off the shackles of sensible cop cars and lets his hair down. Usually when a manufacturer has sniffed out a publicity stunt. 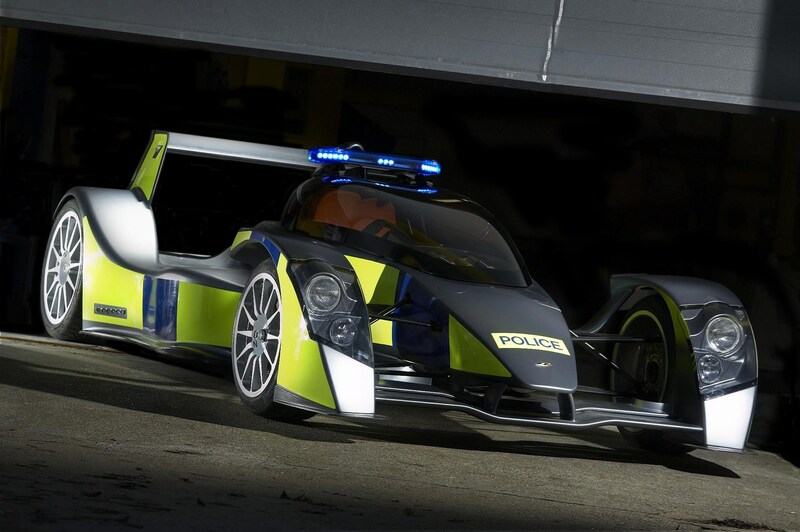 The Isle of Man constabulary wrapped a BAC Mono in blues and twos - with this outrageous result. Only one seat though, which makes it unrealistic to appear in The Bill any time soon. 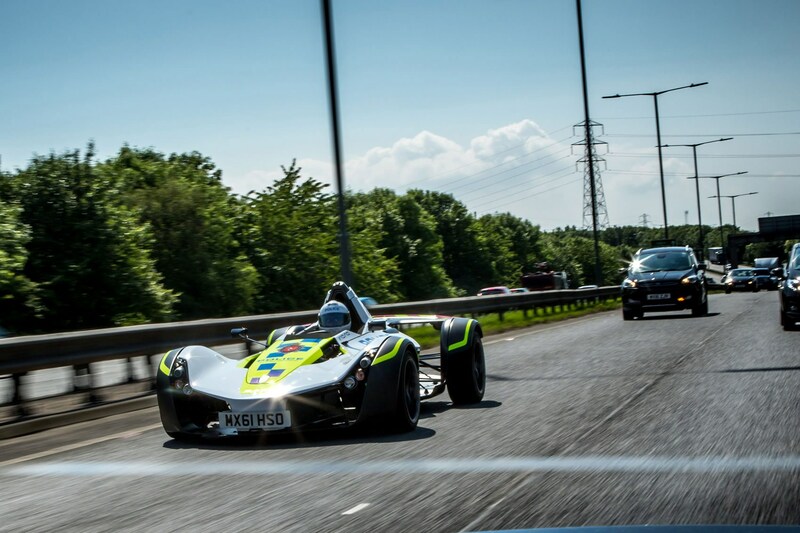 Remember the Caparo T1? We just about do. 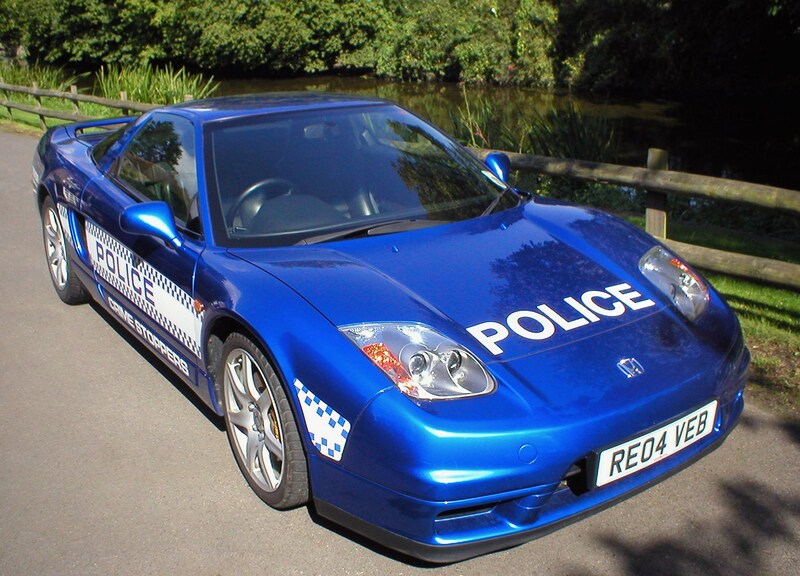 Even though it kind of sank without trace, the extreme hypercar somehow managed time to create a one-off police edition. 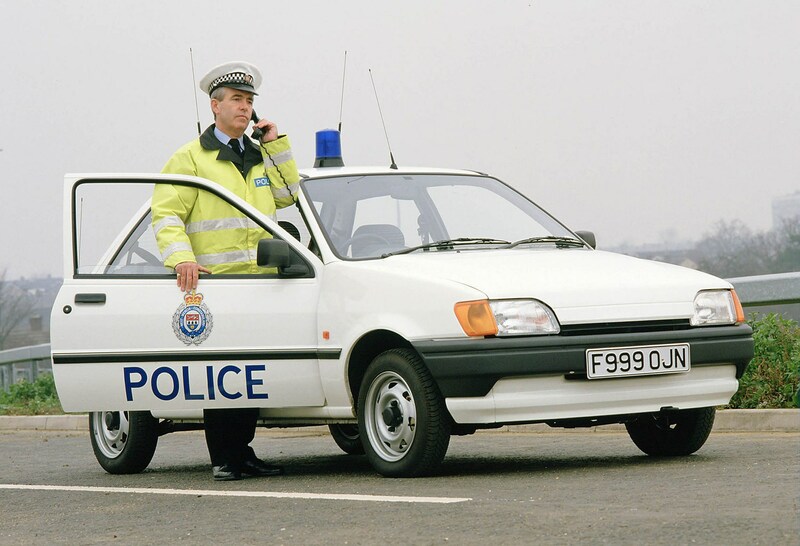 Not seen patrolling any UK streets ever since. That's more like it, Sarge! Even Goodwood can't resist doing its bit for the local force, wrapping this Ghost in Battenberg livery for a local event. 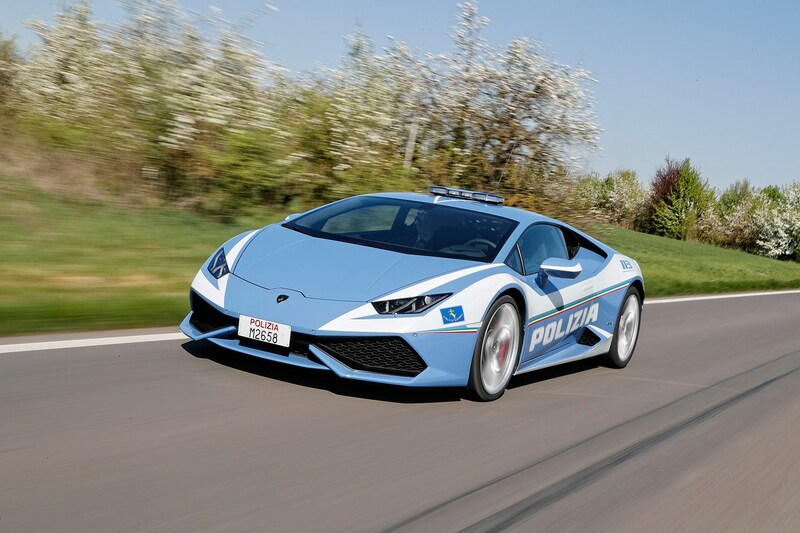 In 2017 Automobili Lamborghini gave a new Huracan Polizia to the police force in Rome. If you see this in your rear-view mirror, pull over immediately, is our advice! 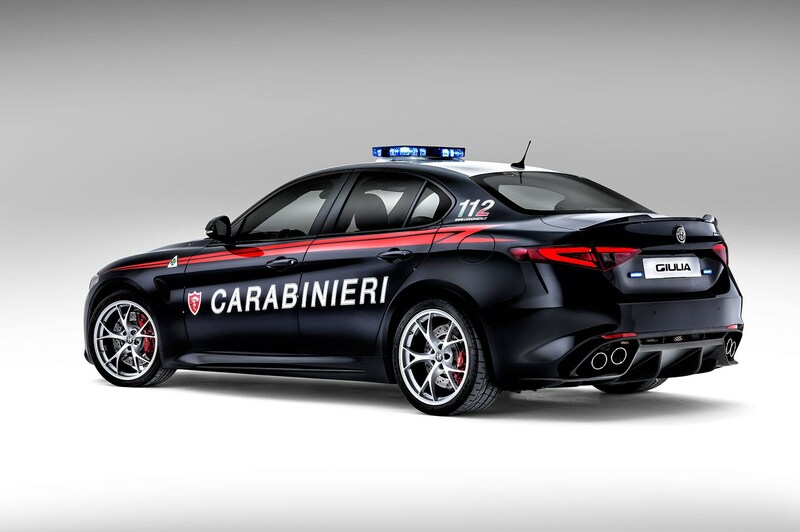 Even the (slightly) more realistic Alfa Romeo Giulia Quadrifoglio looks damned cool in police spec. 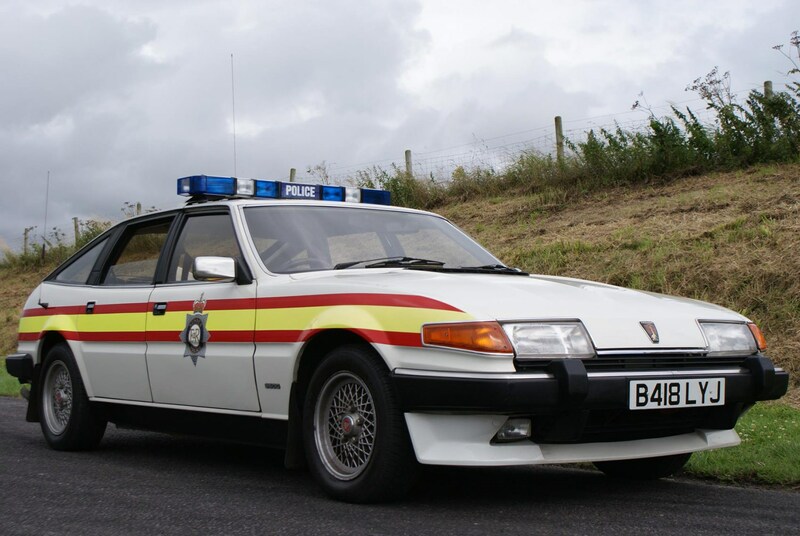 What's not to like about a Cloverleaf in cuffs? 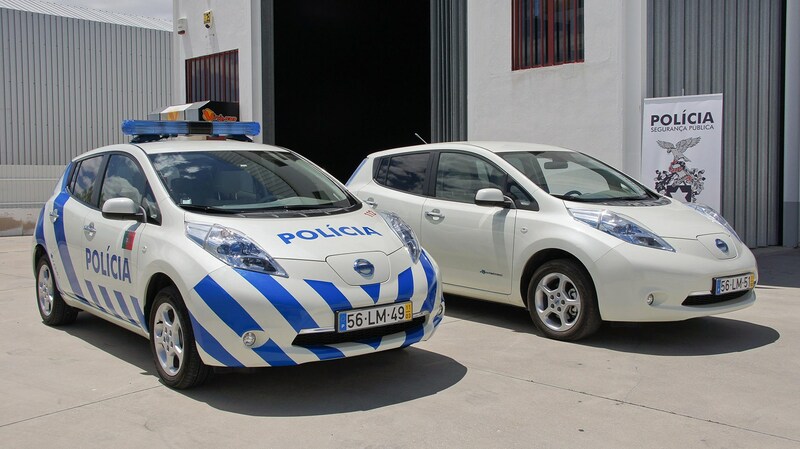 Fortunately, only two Giuilas were taken by the police force, as part of an 800-strong Fiat Chrysler fleet deal. 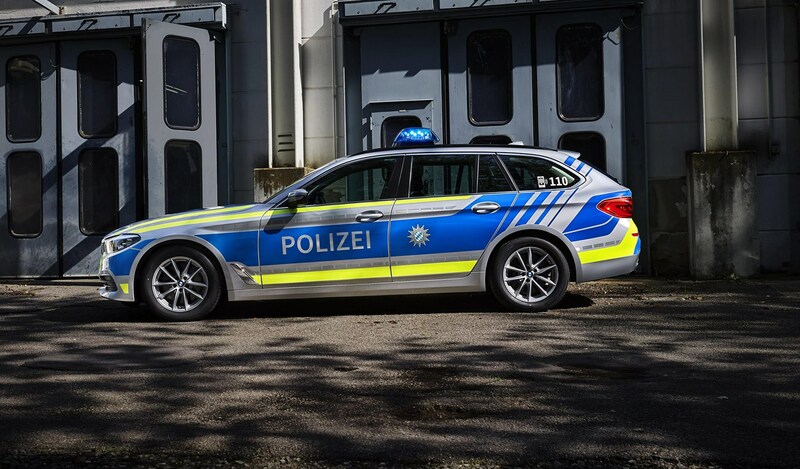 So you'll be far more likely to see Jeep Renegades and Fiat Panda 4x4s in use with cops in more mountainous regions of Italy. 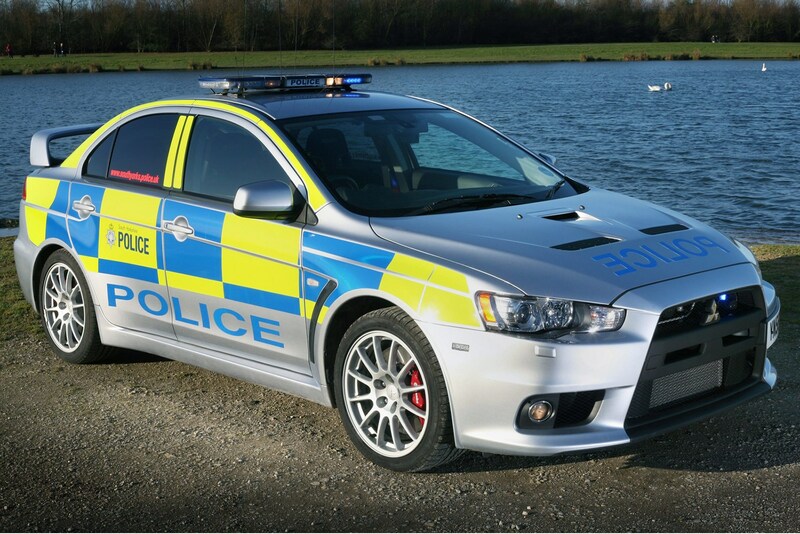 This high-performance police car lark isn't just a Middle East and UK thing. 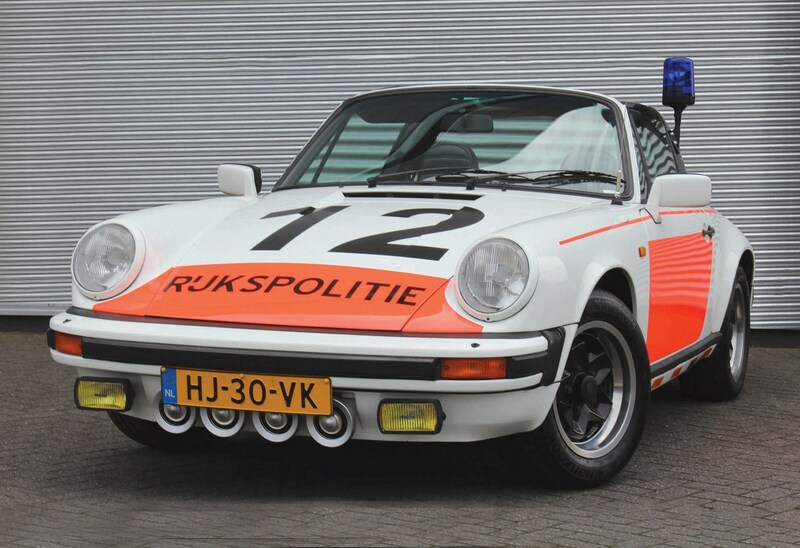 The Dutch had this splendid 1982 Porsche 911 3.0 SC ‘Rijkspolitie’ mobile. Which is perhaps the coolest patrol car we've yet seen. The Blue Oval has form with blues-and-twos. 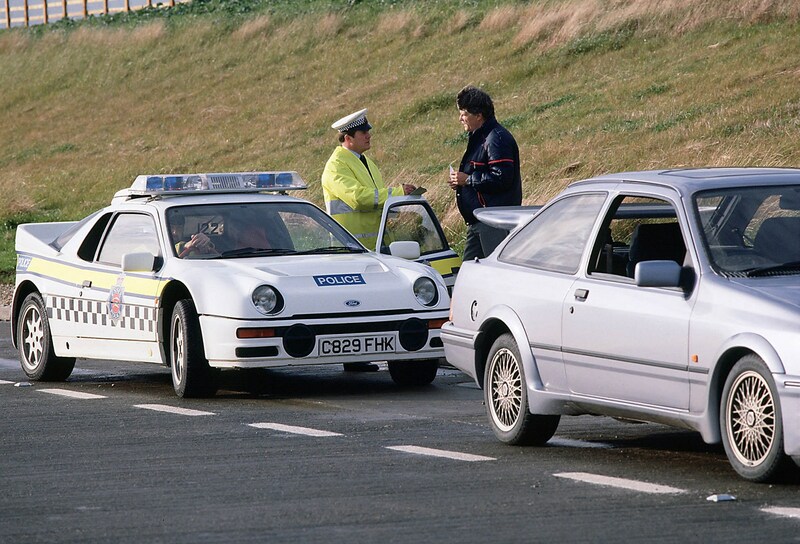 In the 1980s it bedecked its landmark Group B RS200 with the necessary stickers and lights to make a high-speed pursuit car for the local Essex constabulary (above). 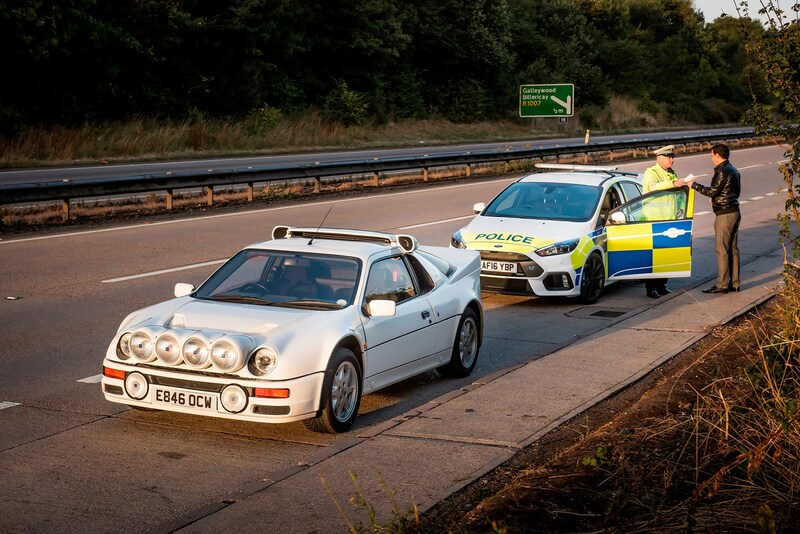 It then, rather cleverly, re-shot this picture for a more recent picture of its Ford Focus RS police car - neatly photographed pulling an RS200 for clearly indulging in a little bit too much dual-carriageway speed (above). 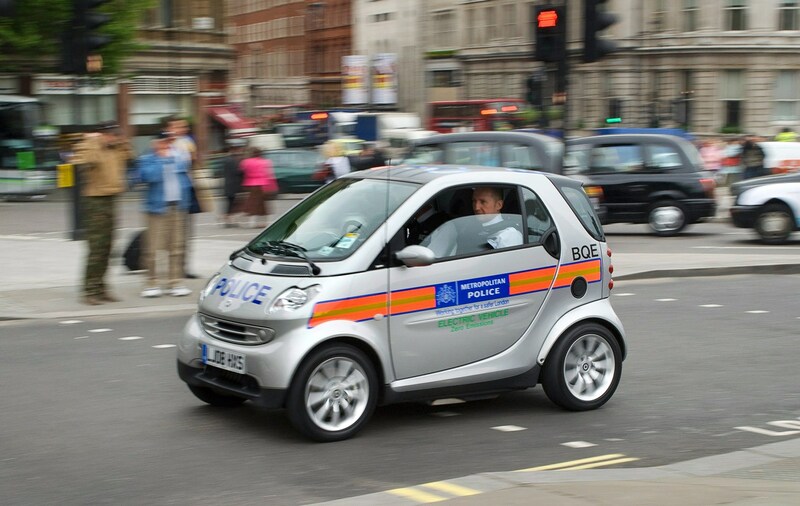 It's not all high-performance police cars. 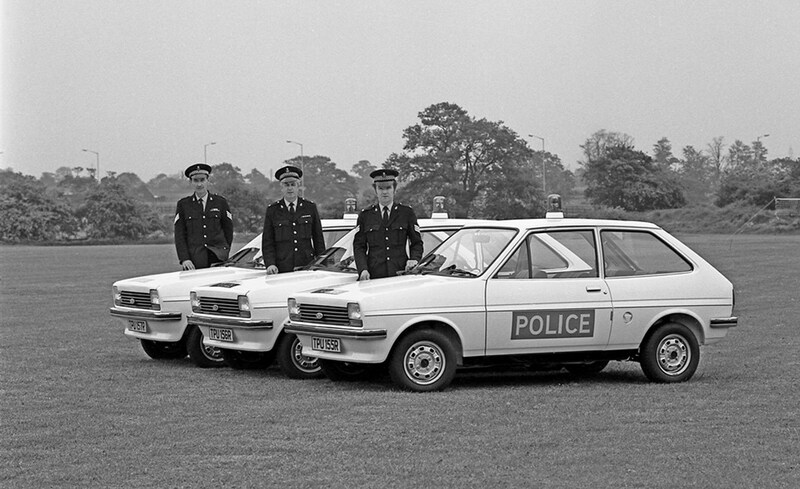 Let us pause and reflect that one poor force resorted to Austin Allegro panda cars. 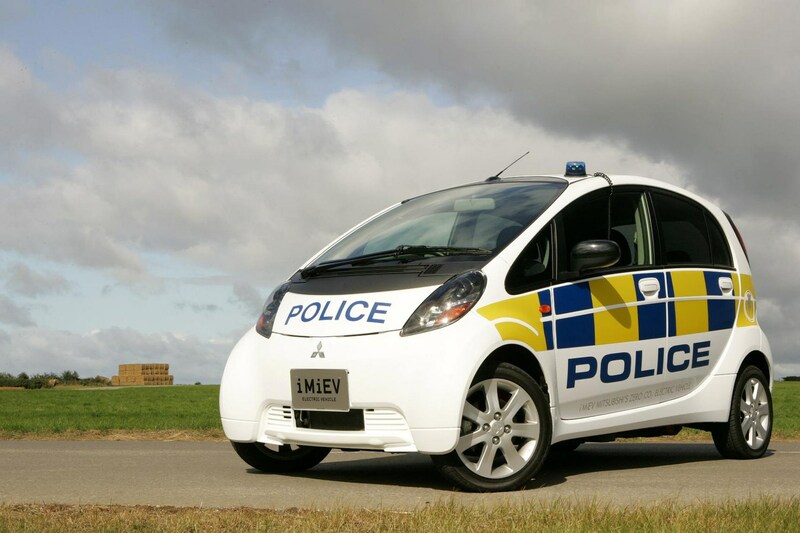 We imagine many thieves getting away on foot, out-pacing BL's mid-sized hatchback. 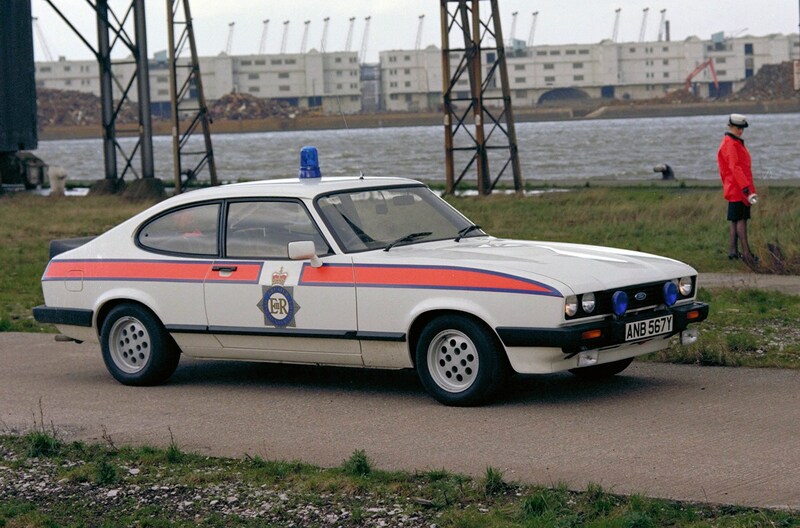 Which is your favourite police car? Be sure to sound off in our comments below!